Before the advent of the modern nation-state, it is known that the present geo-political entity Manipur was functionally based on material conditions centered around the fertile valley and the time to time covenants and treaties made with the Meitei Monarch and the various nationalities settled in the hills, and sometimes of dominance and subjugation making some of the nationalities to pay tribute to the Meitei monarch. And with the overpower of the entity by the British, the whole polity was restructured (the administrative division of Hills and Plains is attributed to the colonial intervention by many intellectuals) and became more exploitative to the population by introducing new ‘economics’. Subsequently, Manipur was overtaken by India with no radical and accommodative structural changes in the polity of the state. Indeed, it is very saddening to witness a once sovereign Manipur, having been annexed by India begin to resemble the opening of a pandora box where myriads of issues and conflicts of all kinds has emerged both vertically and horizontally. The horizontal conflict need not be necessarily and solely be attributed to the act of annexation by India but the annexation has cut short the organic process of a democratic nation-state formation which is supposed to be inhabited by numerous nationalities. We have been besieged by a concrete political framework which only yield majoritarianism and nothing else, a quasi-federation (as some Indian intellectuals defines) which operates on population logic; thus establishing a power matrix where Meiteis became the ‘dominant’ politically with the maximum seats in the state assembly. Even though the highlands have been scheduled as tribal areas, the autonomy given to them has been minimal. Hence the expressions and aspirations of the highlanders became marginal. This very same matrix applies to the Meiteis in relation to the mainland Indians if we look at the larger polity of Indian Union, Meitei which is a ‘dominant’ community in Manipur is a microscopic nationality situated politically within the Indian Union. Thus this power matrix is systematically filtered down to the village level polity creating a string of hegemonic and heretical political expressions and practices. Apart from political dominance, the Meiteis has been the ‘mainstream’ and has the sense of ‘superiority’ socially. With the advent of Hinduism, and the practice of casteism, othering of the highlanders has been rampant and continues till today (the terminology ‘hao’ finds its place derogatorily in the lexicon of the Meitei society till today both openly and insidiously). So with these socio-political processes, Meiteis became the dominating group in Manipur socially, politically and thus has been one of the major factors of hill-valley conflict which ails Manipur. This power matrix has been operational in the day to day lived experiences of the citizens of Manipur, in polity, economy and social interactions which have yielded an unequal valley centric socio-economic development. Today the fertile valley of Manipur, home to the Meiteis, has been under a tremendous demographic changes wherein Meiteis faces the ‘existential’ crisis. A fear-psychosis has been shared among the populace that Meiteis will become minority in their own land as there is no regulatory mechanism to regulate the unabated migration from other parts of India. Thus to defend the population, there has been popular movements to monitor and regulate the demographic changes and land tenures. The recent move to introduce Inner Line Permit System (ILPS) initiated in the valley spearheaded by Joint Committee on Inner Line Permit System (JCILPS) is one such assertions urging to protect the ‘indigenous’ people of Manipur, which ended up in an unprecedented opposition from the highlanders. It was perceived as another move by the majority Meiteis to ‘encroach’ upon territory of the highlands which the Meiteis does not traditionally own, and are owned in a different manner by the highlanders, and delegitimising the citizenship of the highlanders. Till today nine dead bodies remain unburied in Churachandpur signifying the opposition and resistance. In midst of this turmoil, there has been another parallel move by few sections of Meiteis to schedule Meiteis as tribe under the Constitution of India spearheaded by Scheduled Tribe Demand Committee (STDC). The protagonists comprising of ex-servicemen, bureaucrats etc. No doubt the scheduling of Meiteis as tribe is ‘legit’ within the bounds of the Indian Constitution and there is no concrete definition of tribe, rather it is conceptualised as comprising of various parameters which has been changing from time to time within the contours of the socio-political context. So any community falling under those parameters can legitimately claim the status and enjoy the constitutional provisions. But why claim this ‘legit’ demand which will yield a possible catastrophe in the State and further strengthen the hill-valley dichotomy? For this very reason the present move needs a serious scrutiny by dissecting the movement itself and engaging with the possible ramifications. So herein the line of argument opposing the move will be not on the thesis of Meiteis crossing the stage of ‘tribe’ guided by the Social Darwinism which projects a linear development of society, as sometimes such arguments succumbs to labelling the contemporary tribes as non-contemporary stuck in a particular stage of societal evolution, static, or in other words ‘denial of coevalness’ in the words of Johannes Fabian; hence requiring ‘mainstreaming’. Rather my arguments will be more on dissecting the movement and the ‘promises’ espoused by the Demand Committee and the grounds for possible conflict among the various communities in Manipur and even among the Meiteis. The Movement is premised on three core ‘promises’: Peace, harmony and equality among the communities (undoing the constitutional division is the loose phrase the demand committee is using in achieving the said ‘promise’) especially the highlanders and Meiteis; freebies and job opportunities in state services; protection of land and culture of the ‘unprotected’ Meiteis. First we need to identify these group of Meiteis who are demanding tribal status. The movement has been spearheading from the beginning by the ‘creamy’ section of the Meitei society who are well established comparatively and largely Imphalites. They include Ex-Army Men, retired Bureaucrats etc. Interestingly they are the propertied middle class unlike the standard sociological understanding of ‘middle class’ possessing feudal characteristics and mannerisms. Their sudden interest in ST status is quite intriguing. It has also been said that claiming ST status is a ‘temporary’ ‘arrangement’ until Manipur determines its destiny by its own and develop a mutually respecting polity among the nationalities residing inside the state. Anyway the issue here is the proposed ‘temporary’ solution and its ‘temporary’ ramifications in the state. I have left with no other understanding than saying that these section of Meiteis ‘for the time being’ sees the ‘creamy layer’ concept in affirmative action policies of India a road block for their ‘progress’ as I very much convinced that their ‘promises’ are mere rethorics; cannot be operationalised within the larger political economy and the geo-politics of the state. Creamy layer concept is applicable to the Other Backward Classes (OBC) identified by the government of India, which any Meitei can be listed and many do hold the certificate. The creamy layer refers to the relatively wealthier and better educated members of the OBCs who are ‘not eligible’ for government sponsored educational and professional benefit programs. And this concept is not there for the affirmative action related to Scheduled Caste (SC) and Scheduled Tribes (ST) (at the state level there are segregations within ST and SC depending on depending on the socio-economic situations of the scheduled population). Thus the ‘creamy’ section of the Meitei society is not ‘eligible’ for certain aspects of affirmative action in India. Now if one has to escape this, the only option left is to move to scheduling as Tribal as Scheduled Caste categorisation adopts a different Episteme. Their issues with this concept of creamy layer already been expressed in public domains and is quite derogatory and beyond the idea of social justice. Affirmative action or reservation system otherwise has long history in India tracing it to the colonial times where certain ‘depressed class’ were given quotas in Jobs and Education to increase the opportunities for enhanced social, educational and economic status of the underprivileged communities to make in par with the ‘mainstream’ (many intellects still claims that Britishers have liberated the depressed class from certain practices of caste). In Manipur Meiteis are the ‘mainstream’. Again on the other side Biharis, Bengalis, Malayalis etc are the mainstream in relation to Meiteis. And within these nationalities are class/caste and other form of disadvantages etc. so you have affirmative actions at the central level and state level; filtering it down to the grass root. If the state of Manipur is declared as a tribal state, we can have a contextualised affirmative actions (‘quota within a quota’ as expressed by the Demand Committee). Now the fact of the matter is that, and which I am trying to make is that the state level affirmative actions will not be that ‘lucrative’ considering the number and frequency of the state government job opportunities (this the Demand Committee knows). Currently Even the few jobs the state has, is being ‘sold’ to the ‘creamy’ section of the society which have enough ‘capacity’ to ‘buy’. Whether one is scheduled as tribe of not it hardly matters in Manipur the creamy sections become creamier. So majority of the people who cannot afford to ‘buy’ jobs in Manipur moves to central services. Here in the opportunities of central services lies the issue of distributive justice when you do not have the concept of creamy layer or ‘quota within quota’ in reservations for ST. wherein meritocracy within the ST population will hijack social justice. It will also disturb the existing status quo among the Meiteis who are already clubbed as OBCs and SCs, which has somehow maintaining an equilibrium in quota distribution. The ‘creamy’ Meiteis which has the capacity to send their wards to fancy elitist private schools, tuition/coaching centers etc. will swallow the available opportunities at the maximum in central services and central sponsored educational institutes as they possess the ‘eligibility’ and ‘merit’. One may justify meritocracy being the best method to exercise one’s ability to its full potential leading to the best outcomes. But who are these meritorious people? Who decides merit? Is there any standard method to access one’s ability and merit? These are pertinent questions that need serious attention and examination. The so called ‘meritorious’ people has been the creamy Meiteis in Manipur. See the data of the last ten years who has been in the top ten list of the State’s secondary and higher secondary exams. How many are highlanders? And if one delves further, these ‘meritorious’ students will always be from the well to do Meitei families. In the history of Manipur among the Meiteis in the last ten years how many ‘meritorious’ students have come up who are the child of daily waged labourers? If this is the situation within the Meiteis, does the Demand Committee has any idea what will be the situation in relation to highlanders who are the ‘periphery’, when all the facilities and resources (health, education etc.) 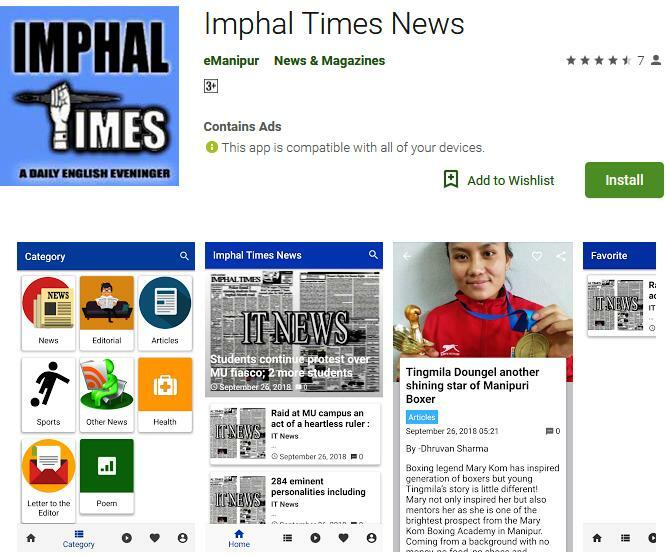 are centered around Imphal? Those who have the ‘access’ will be of course become the ‘meritorious’. Meiteis will be ‘meritorious’ when you make Meitei language the ‘official’ and the medium of instruction in educational institutes starting from primary education. How many schools are there in the highland villages which uses their own mother tongue as medium of instruction? If it exists, how many teachers are there who are from that village speaking the local dialect? Imagine a child has to learn a foreign language and at the same time learn ‘modern knowledge’ to be ‘eligible’ for jobs. Is it not another road block to become ‘meritorious’? When you have so much of socio-economic disparities between hills and plains and discriminatory policies from top till the grassroot itself how can one justify meritocracy? Meritocracy will breed elitism, class antagonism. The move by the demand committee is a tight slap to the idea of social justice considering the current political economy of the State. When there is no equity how can you talk of equality? The Demand Committee asserts that Meiteis will ‘control’ India if scheduled as Tribe. The Committee needs a serious understanding of what is bureaucracy and where it figures out in the polity of a nation-state. The move is not going to ‘control’ India by the ‘Meiteis’ (ironically the Demand Committee whose aim is to establish ‘equality’ among the citizens of Manipur does not celebrate presence of highlanders in Indian bureaucracy or even at the state level) by penetrating into bureaucracy, rather it is going to reinforce and strengthen hegemonic ‘control’ over highlanders by Meiteis (the inequitable share in state assembly and bureaucracy will be self-evident). By which the Demand committee is solely responsible, not the larger Meitei society. For the very greed of these few Meitei who wants to pave a ‘smooth’ ‘career’ path for their already ‘meritorious’ child, these Meitei elites are putting the state into another turmoil rather than mending hill-valley differences and antagonism by whitewashing the mass with unrealistic ‘promises’, hence the ‘promises’ needs a serious observation. Hill-Valley divide will go away if Manipur is declared as tribal state has been the most ‘catchy’ promise made by the Demand Committee. The claim has no objectivity in itself. It seems that the Committee has no serious clue of what divides the hill and valley and which divide they are going to bridge and how. Does it mean in the social sense or the political sense? Or in a geographical sense? If it is in the geographical sense, are you going to elevate the valley to make it into mountains? Or flatten the mountains to turn it into a valley? Which will be more cost effective I leave it to the Committee. Let’s pick up the social ‘differences’ and ‘divisions’, affirmative actions are meant for socio-economic upliftment of the ‘disadvantaged’ not to push them further into fringes. Meiteis who take pride in their 2000 old ‘civilisation’, might be the ‘disadvantaged’ in relation to mainland Indians but the Demand Committee must remember the highlanders are more ‘disadvantaged’ in relation to the mainland Indians and in relation to Meiteis. These highlanders are historically socially ‘outcasted’, ‘orchestrated’ for being non hindu by the Meiteis. Even some of them were brought into the valley as slaves to the Monarch. The genesis of heretical discriminatory outlooks and practices might be because of the evilest religion on earth: Hinduism, but has become more of a day to day social practice where one has ingrained those discriminatory outlooks in the psyche of the larger Meitei populace. The hierarchy has been acquired from the long socio-historical process, constitutionally tagging Meiteis as ‘tribe’ will never wipe the identity of being a ‘Meitei’ and its social relations with the highlanders. You are still a Meitei to the highlanders, they will not look at you as one of them: a tribe, which is just a mere categorisation for political and administrative purposes in India. Even in the central India the ‘Scheduled as Tribe’ calls themselves and by others collectively as ‘adivasis’ and the perceived identities of the ‘self’ in relations to the ‘others’ does not fade away till today. What I am trying to say is that the acquired identity form a long socio-political process is not going to go away and at the same time, how the highlanders perceive Meiteis and how they attribute identitie(s) to the Meiteis is also from the same or parallely different long socio-political processes that Manipur has gone through till now, is not going to fade right away. This status quo cannot be easily challenged. And importantly cannot be challenged by Meitei merely scheduling as tribe. A social ‘mingling’ probably would. By swallowing up the professional opportunities of the highlanders the Committee is engineering a situation where the highlanders do not even get the ‘outward’ respect they enjoy. What about the political division? The demand committee has not rolled out any such operational plans till now. Probably they do not have, or maybe they also know that by ST status there cannot be any democratic radical political restructuring apart form a coercive ‘unison’. Political division need not be removed by ‘unification’ but it can be addressed by distribution of power. The highlanders have been governing themselves within their own organic polity parallely with the ‘glorious’ two thousand years old Meitei ‘civilisation’. (Mind you having a 2000 written history does not mean that these highlanders are people without history. It is just a matter of how knowledge of the past is stored). And the then pre-colonial relation between them and the Meiteis is of truce and alliances and sometimes of subjugation. Now the anarchic arrangement of the geo-political region Manipur was dismantled by modern nation-state leading to a situation where even arrangement of a just federation is doubtful. I am more doubtful about the arrangement which can be made under a scheduled state looking into the demographic context of Manipur and the larger political framework of India. If Administration is ‘unified’ the division will go away is the thesis the Demand Committee subscribes to of which the highlanders will fight tooth and nail. As mentioned in the beginning the political framework India has given to us breeds majoitainism (they regret Manipur having two members of parliaments but is blind to the same representation system in Manipur) without addressing these core issues there cannot be a cohesive Manipur ‘state’. The issues in Manipur are of unequal power sharing among the nationalities. When the hills are demanding more autonomy is committee is talking of ‘unified administration’? Land has been central to hill valley conflict, particularly with the Chin-Kuki groups and Meiteis mainly because of the demographic arrangements between these two communities (what adjoins to the Meitei areas are the Chin-Kuki groups, which has its history of such demographic arrangements). The most contentious of all is the MLR and LR 1960 which has gone through many amendments, the latest being the seventh amendment bill in 2015 as part of ILPS which is pending and which has become the bone of contention among the highlanders especially the Chin-Kuki groups. The intentions of the state to bring a uniformity in distribution of land throughout the State has been vehemently opposed by the highlanders from the beginning owing to the differences in in the traditional land ownership pattern. What will be the arrangement of land relations under the proposed Tribal State? The arguments of geographically small but having the maximum population ratio valley, is accommodating the highlanders and is the opposite in highlands has been central to the ongoing debate. And Meiteis will be able to settle in highlands has been another ‘catchy’ promise if they are scheduled as tribe. A slight coercive move to have a ‘uniform’ land law will have a serious catastrophe. Uniformity in an heterogeneous society will be hegemonic and undemocratic. It is not the uniformity which is required but accepting and appreciating differences to build a harmonious and cohesive society. Remember Rome was not build on a day. Nation building is a process. It takes time, and has to build democratically not by coercion. One of the best ways to bring harmony and cohesiveness is establishing a kinship relationship of which I have a doubt that among the feudal chauvinist members of the Demand Committee there will be no one who will agree to inter community marriages, especially allowing their meritorious ‘daughters’ to marry a highlander (in a patrilineal setup incoming of women of different caste/tribe/race is comparatively accepted, which is also very minimal among the Meiteis). As in the case of Indian caste system as inter caste marriage has been suggested to end caste system in India, and no affirmative actions has till now radically challenged the caste practice also. Inter community marriage is one good way as compared to ‘ST status’ to bring the so called ‘emotional integrity’. Coming to the point of ‘protecting’ Meitei Land, from whom the Meitei land is going to be protected? From the highlanders? Or from the ‘encroachment’ by the Maynags? Protection of land by the constitution of India is a deceit. There is enough constitutional ‘leeway’ to grab land and resources. Unfortunately, the most plundered areas have been the scheduled tribe areas of India. Both in scheduled tribe status and Protection of Manipur People’s Bill 2015 the land and resources cannot be protected from plundering in the name of ‘larger national interest’ (at least in PMP 2015 you have the provision of regulating migrants). Land and resource plundering is guided by the current political economy of India and rules/laws are set accordingly. Even looking into Manipur, the state is ‘borrowing’ to develop ‘infrastructure’ by displacing population (even in the hills). You borrow money to displace people is the new ‘development’. Who and how one will pay the debt? From whom again the fund is going to be collected to repay? Of course by downsizing of government sectors, and again who will suffer? The only thing left one can seek is equitable share from exploitation of resources (never think this is going to happen in current political economy of India). You might get rid of the ‘shabby’ mayangs from Manipur but you cannot get rid of the suited and booted mayangs controlling the economy for whose the Union of India operates by becoming Scheduled Tribe or by just having a mere regulation like PMP 2015. It is being said that The ILPS is rejected by the highlanders, yes it is true, but the prime question is when and where has the Highlanders endorsed the Meitei demand for ST? Let me forcefully reiterate again that the ‘promises’ made by the Demand Committee has no possibilities of institutionalising it in Manipur by Meiteis becoming ST or announcing Manipur as tribal state apart from the educational and professional opportunities to the few Meitei elite sections. The Demand Committee has not dealt properly with certain nuances and intricacies of their ‘promises’ nor rolled out a proper operational schemas and viability of their ‘promises’ which is mutually acceptable and agreeable to ‘everyone’ (which I am sure the committee does not have). Let us not fool our self by the rhetoric of these chauvinist. Our state, our society is being put into a colosseum by a few elite section of Meiteis for their greed, where Delhi will enjoy the scene, a spectre no one wants. The Pan-Manipur movement for democracy is beyond the ‘piecemeal solutions’. It seems like Sir Kulajit Maisnam is very keen to see the Manipur picture at a bird's eye view. He sees the situation in Manipur as Meiteis taking advantages over the highlanders which is not very objective. The people of our state as a whole is socially, politically and economically downtrodden. It is only a few creamy layer from the Meiteis, the OBCs, the STs, and the SCs that secure the privilege of a high-end life. Others lead a poor life. Not every government services and schemes reaches the public rather it fills the coffers of the corrupt politicians and the government officials. The present situation here in our state is a divisive role of the plane and the hill by people in power so that they will ultimately break their thousand year old historic brotherhood ties and bring the land in chaos. It is not timely to bring the present problem of our state to a blame-game. All the stakeholders' views needs to be heard and analysed before a conclusion is met.